Aphrodite Jones makes great television. Aphrodite Jones has been the face of Investigation Discovery network for many years. She is the creator and host of True Crime with Aphrodite Jones, which takes viewers on incredible murder investigations, which leaves questions in the minds of the audiences until the final act. Aphrodite Jones has started a True Crime podcast with co-hose Jessie Buttafuoco called This is Murder. Click here to listen to the radio recording on Podbean! To learn more, visit the This is Murder Podcast website! 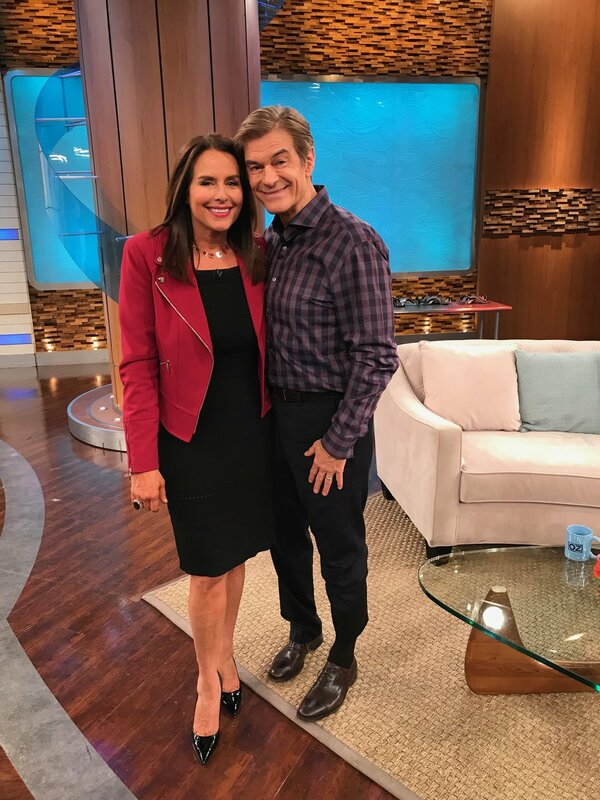 Aphrodite Jones will appear on a new episode of the Dr. Oz show on Tuesday, November 13th! Don’t miss it! See the episode guide on Investigation Discovery and YouTube. For anyone who’s watched The Staircase on NETFLIX and May have a doubt about Michael Peterson’s guilt, click here to listen to Aphrodite Jones speaking candidly about this convicted killer on the BBC Radio Show, Beyond Reasonable Doubt. Jones attended the Mike Peterson trial gavel-to-gavel and her book, A Perfect Husband, an accurate account of the murder story, was the basis for the Lifetime movie, “The Staircase Murders” and is the answer to the questions posed by The Staircase. Aphrodite Jones has appeared on the popular podcast, Suspect Convictions, to talk about the murder of a 9-year-old girl, Jennifer Ann Lewis. Click below to listen to the whole podcast. Aphrodite Jones has also recently appeared on the House of Mystery radio show to talk about All He Wanted. Click here to listen to the radio recording on Player.fm or Click here to listen on iTunes! To listen on iTunes, scroll down until you see the episode with Aphrodite Jones!